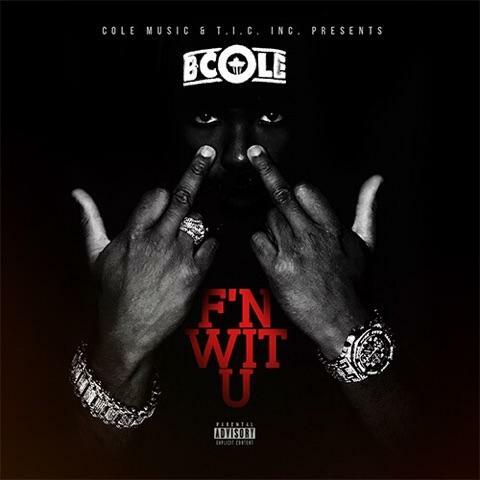 Independent recording artist, B.Cole returns with another high energy anthem, “F’N WIT U.” Coming with the theme of getting money regardless of what everybody else is doing and saying, “F’N WIT U” is the perfect soundtrack to hustling up that holiday bag and even several summertime stuntin’ bags. In addition to motivating listeners to go out there and get it, “F’N WIT U” touches on B.Cole‘s personal story of overcoming the doubt and hate that comes along the road to success, to the tune of hard hitting @JGladMusic production. So, add “F’N WIT U” to your Money Making playlist and keep your eye on the Northwest’s next up.